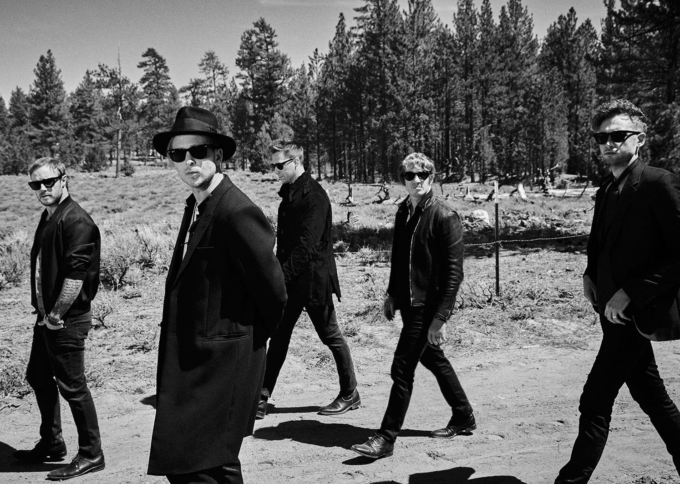 It’s been a couple of years since we heard new music from US four piece OneRepublic, but the wait is finally over, with the band releasing their new single ‘Wherever I Go’ across the planet tomorrow. Co-penned by lead singer and hit songwriter Ryan Tedder, along with hit songwriter Noel Zancanella and the band’s Brent Kutzle, the new single was delivered to Australian media tonight ahead of its digital release. It’s set to feature on the band’s forthcoming (and as yet untitled) fourth studio album, which Universal Music tells us will drop later in the year. Amazingly, to launch the new track, the band sent hand-written postcards to fans across the planet in the hope they’d upload pictures of them in spectacular locations around the world, using the hashtag #WhereverIGo. And the great news for local fans of the band is that their label has confirmed that the boys will be on the ground sometime next month for a whirlwind promotional visit, which will include a live performance of the single on ‘The Voice’. ‘Wherever I Go’ is released tomorrow.